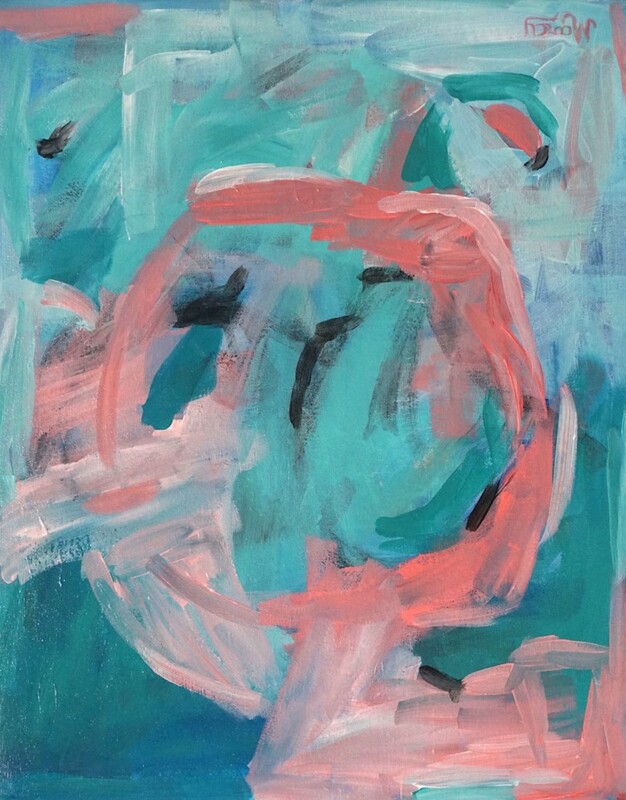 This is a fun little abstract in turquoise and coral. The edges are painted and it is wired and ready to hang without a frame. I painted this with Claire. Take 25% off this painting if you also buy Claire at the same time! Free shipping.